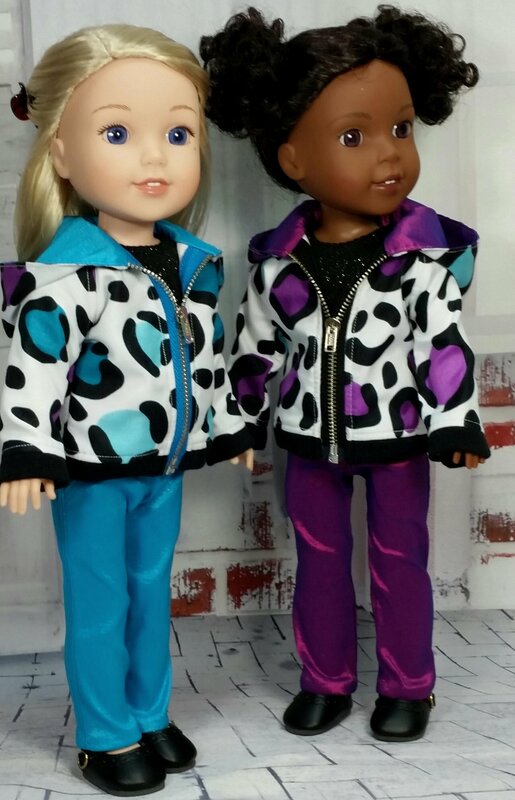 Your WellieWishers doll will look fabulous in this rough and tumble hoodie featuring easy-to-sew raglan sleeves, a kangaroo pocket, ribbed waistband and cuffs, and a zipper front. 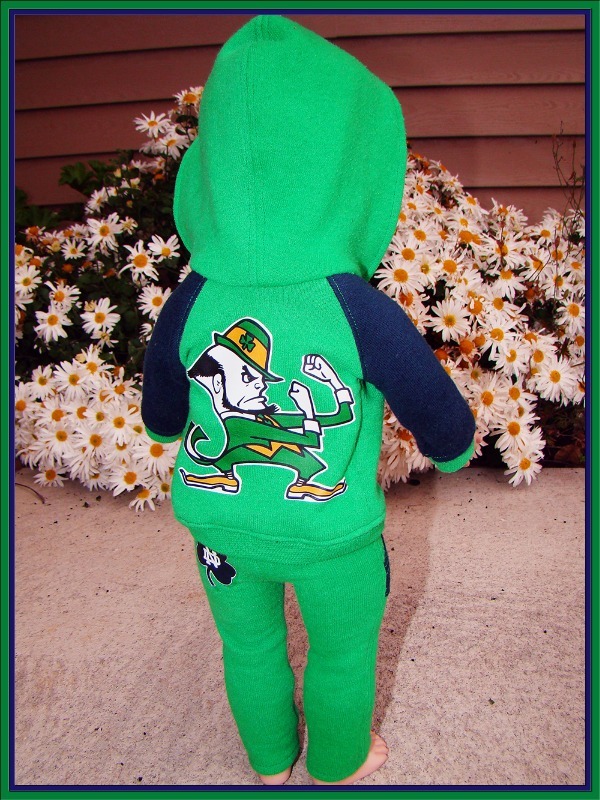 The pattern includes easy-to-follow instructions that will take the fear out of sewing zippers. Special Note: This PDF pattern is designed to fit a 14.5 inch WellieWishers Doll specifically. 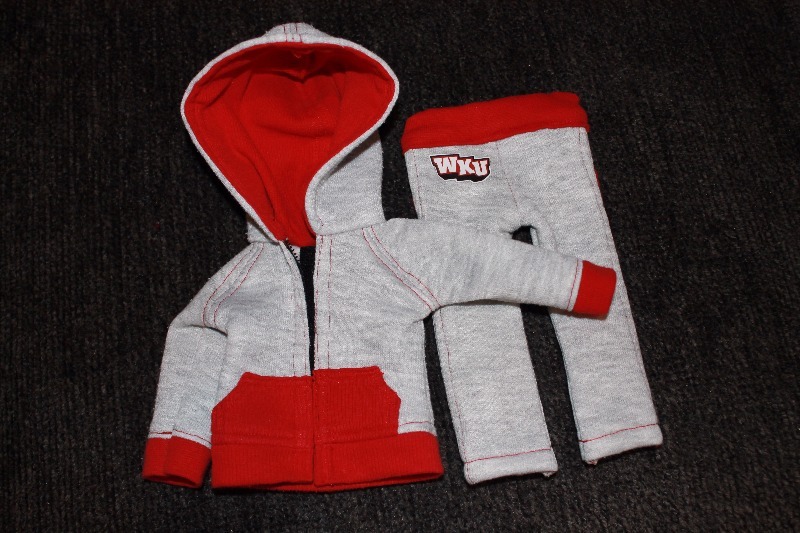 Please see our other listings to make this hoodie for Kidz N Cats® and 18" dolls such as American Girl®. -Main fabric: Light weight sweatshirt fleece, micro fleece, light weight french terry, medium weight t-shirt knit, flannel, quilters cotton, medium or light weight corduroy/denim and light weight stretch twill. -Hood Lining: Flannel, quilters cotton, light weight knit with minimal stretch. This pattern has some of the best tips amid the instructions I have ever used. I love the design and all of the samples. I will be using it for lots of jackets for my doll. I've made the hoodie and slim line sweatpants several times now, and I have made some adjustments that make me happier with the pattern as a whole. It's not perfect... but I would purchase from this designer again since I was able to make the needed changes and was then happy with the pattern and process. My son really wanted a boy doll for Christmas, so I turned an Emerson into Nathan for him. I decided to make the Rough N' Tumble Hoodie as the finishing touch for his outfit. I found some green sweater knit that had black in it. It reminded me of the Creepers in Minecraft, which he loves, so I made a Creeper hoodie for him! Great Pattern for Wellie Wishers! The final results are great. Good directions and nice fit. I'll make more! I was honored to be able to test this pattern in the 18" doll size and I loved it, so I couldn't wait to try this pattern. As I expected, it went together perfectly and fit the little Wellie Wishers very well. It is so adorable on the dolls. And, it's easy to sew - great instructions and pics to follow. After learning the "EASY" way to insert a zipper from this pattern, I will never go back to the old way again. You don't even need a zipper foot!! I'll be making more of these for sure!